Every year, thousands of the most inspiring, innovative and successful apps and games developers from around the world come together at Playtime, Google Play's flagship series of exclusive, invitation-only events where they hear the latest on how to innovate and grow their businesses. Gramafilm are the lead agency setting the creative vision for Playtime globally while also managing and producing the events for top developers in Europe, Middle East and Africa. 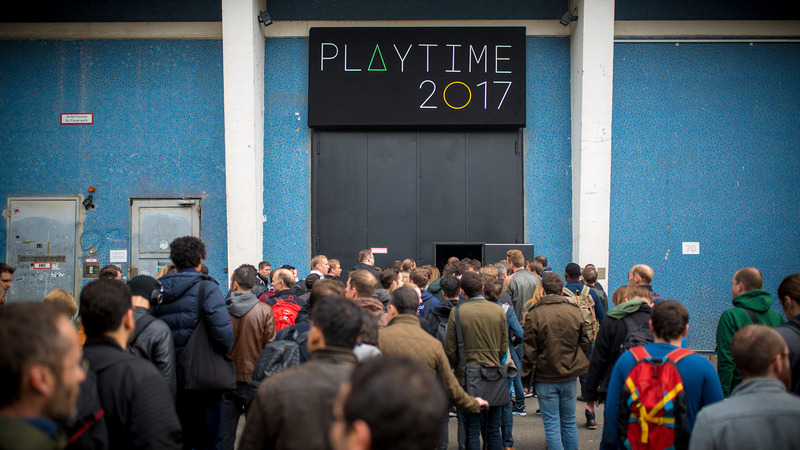 In 2017, we brought over 650 people together in one of Berlin’s most iconic venues - the historic Kraftwerk power plant - where we celebrated their innovation and growth by immersing them in a high tech world styled with neon and plants growing out of the imposing brutalist concrete of the venue. "Powering your growth" was the theme we concepted and brought to life through all touch points, from the invitations, to the build and interactive experiences in the Playground, all the way to the food. Guests were welcomed into a Playground with 9 experiential stations showcasing the latest Google technology, from machine learning to augmented and virtual reality. There were also two Gramafilm original creations on display: the Google Play Quiz and an Android Instant Apps powered gift machine. The Google Play Quiz is a physical racing game controlled wirelessly from a custom web app running on 4 tablet computers. Players raced each other by answering Google themed questions with correct answers moving their Android model through a cartoon world. It was played throughout the day with everyone competing for the best time. Just a short walk around the corner was the brightest installation of the day, a monolithic LED screen fronted vending machine filled with mystery gifts. Guests could seamlessly operate the vending machine with their phones using an Android Instant App to release their gift. More formal presentations and content sessions were hosted in a plenary stage pimped out with a 10m screen where we also showed Gramafilm produced films, two breakout stages, nine 1:1 meeting rooms (including a teepee, giant terrarium and plant sphere), two group discussion rooms and a slide into a giant ball pit.